Flammable Ice: Are We on The Verge of a New Energy Revolution? 11 days ago China has started mining of "Flammable Ice". 3 days ago China Central television announced the start of the hydrocarbon revolution, scale of which Chinese experts compare with the slate revolution in the US. Flammable ice, or methane clathrate is a crystalline compound, which are formed from water and gas under certain pressure and temperature. In fact it is the frozen methane and water, and looks like pressed snow. 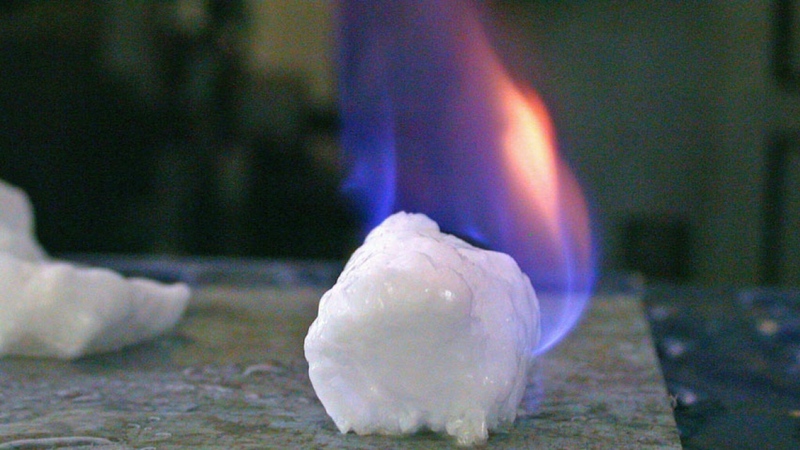 In its energy capacity, the "Flammable ice " is superior to any natural source of energy: 1 cubic meter of methane clathrate contains 164 cubic meters of usual natural gas. For example: 100 liters of gas allow the car to pass 300 km, while 100 liters of " flammable ice " - 50 thousand kilometers. Such a high energy intensity is due to the fact that the combustible ice has a сlathrate structure. 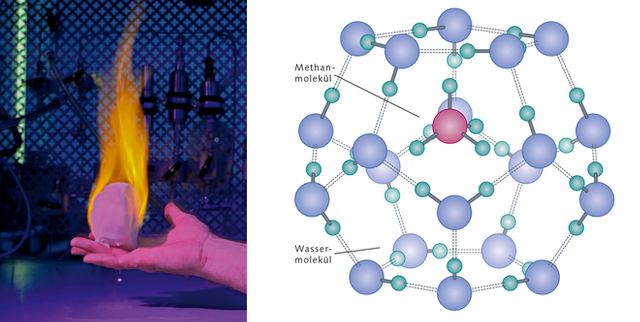 Methane molecules are not mixed with water molecules, but are located inside its crystal lattice. Therefore, methane is practically free of foreign impurities, its "purity" reaches 99.5%. Can flammable ice change the alignment of forces in the global hydrocarbon market? The estimated global reserves of flammable ice are more than double the reserves of coal, oil and natural gas taken together. Deposits of combustible ice discovered as on land (in the permafrost) and on the seabed, at depths of 500-2000 meters. It is worth noting that the largest land and sea deposits are located on China's territory. New deposits, discovered in China, are a huge source, equivalent to at least 35 billion tons of oil (this is enough to provide China with energy for 90 years, not using other sources of energy). 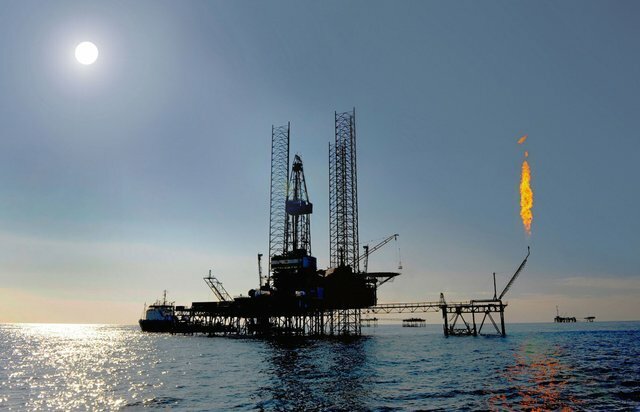 Specialists of China managed to produce 120 cubic meters of combustible ice in about 10 days. The well is located 285 km South-East of Hong Kong, the production depth of 1200 meters. The idea to extract these crystalline compounds have existed for many years: the work in this direction are also being held in Canada and Japan. However, only China has been able to carry out the production of hydrate from the seabed in such volume. Previously, the production of this resource was constrained by technological and financial factors. It is unknown how much cost-effective method of mining, but China is not going to stop. China has been able to get much large amount of combustible ice than the Japanese in 2013. It really looks like the beginning of commercial production. They plan to increase production to 16.thousand cubic meters per day. However, international experts believe that the world industry will be able to master the use of this resource not earlier than in 15 years. The second most complex technological process, after mining, is the extraction of methane from the ice. Scientists point out that it is necessary to carry out this process very carefully, because any mistake can lead to terrible consequences. 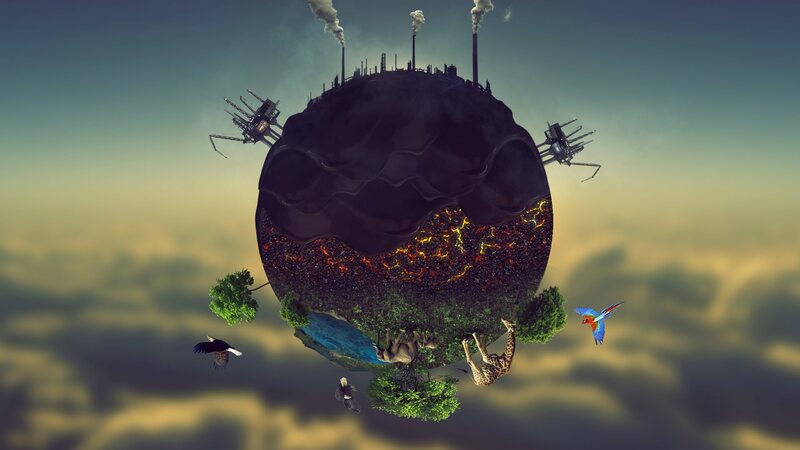 The emission of pure methane into the atmosphere in large quantities will significantly accelerate global warming. On the other hand, during the combustion this methane will significantly reduce the level of pollution, because it almost doesn't contains impurities. sources: Naked Science, news.cctv.com, China mining flammable ice, Methane clathrate, Clathrate compound, Clathrate hydrate images from Google Search. 100 liters of gas allow the car to pass 300 km, while 100 liters of " flammable ice " - 50 thousand kilometers. I am VERY skeptical of those numbers. It is comparison not with a gasoline engine, and with gas (propane for example). I've owned and used a propane powered vehicle in the past. I dispute those numbers based on past experience. Most I could get was 300miles on(ten?) gallons. I got better Mpg on gasoline (it was dual fuel) but propane cost less. I believe in your experience, my friend. 10 liters of gas allow the car to pass 300000 km, while 10 liters of " flammable ice " - 500 thousand kilometers. well for one thing..10 quarts of gas (any kind of gas..propane or gasoline ) will NOT fuel ANYTHING for 300,000 klicks...maybe 300...maybe...If you're riding a mo-ped. Very interesting article - well done! A well written piece on 'flammable ice'. Very nice job. 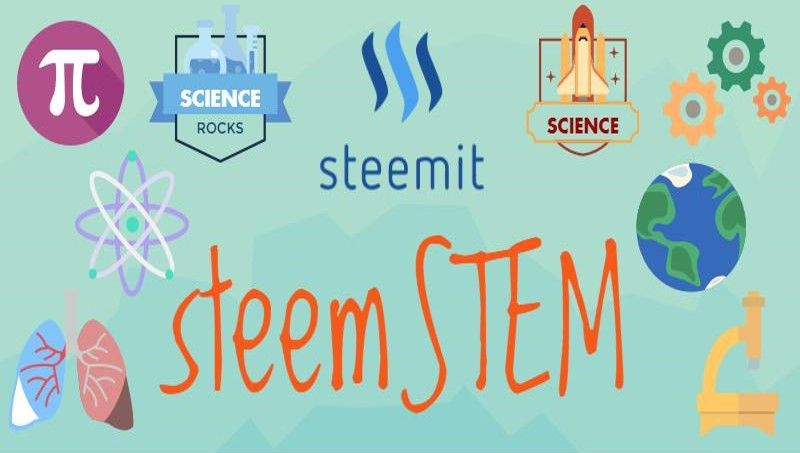 As a bonus, and in addition to resteeming for exposure, we are awarding you a small 10 Steem Power deposit as a thank you for creating quality STEM related postings on Steemit. We hope you will continue to educate us all! 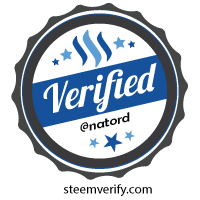 Thank you very much for your support! It is a great honor for me. Very interesting discovery! I guess the decision for its large-scale extraction will depend on the estimation of mining costs plus methane extraction. I'm pretty sure it won't go unused but I can't tell whether it is a viable technology in comparison to other fossil fuels. I personally have more faith in nuclear energy (updated fission technologies and hopefully fusion) as well as personalized alternative energy technologies for each country (solar, wind, etc). There are side effects here as well but the long-term advantage is incomparable in my opinion. I agree with you. Actually I don't really like that humanity continues to use hydrocarbons instead to develop alternative sources. Many countries are moving to environmental-friendly sources, but this process is not as fast as would like. Thank you. I myself did not know that we have at our fingertips such a source of energy. Wow, this is funky. I had no idea there was such a thing!